In July, I ran my first 5K. For a girl who usually walked 80 percent of the miles I had to run in junior high school P.E., running roughly three and half miles was/is a big deal. 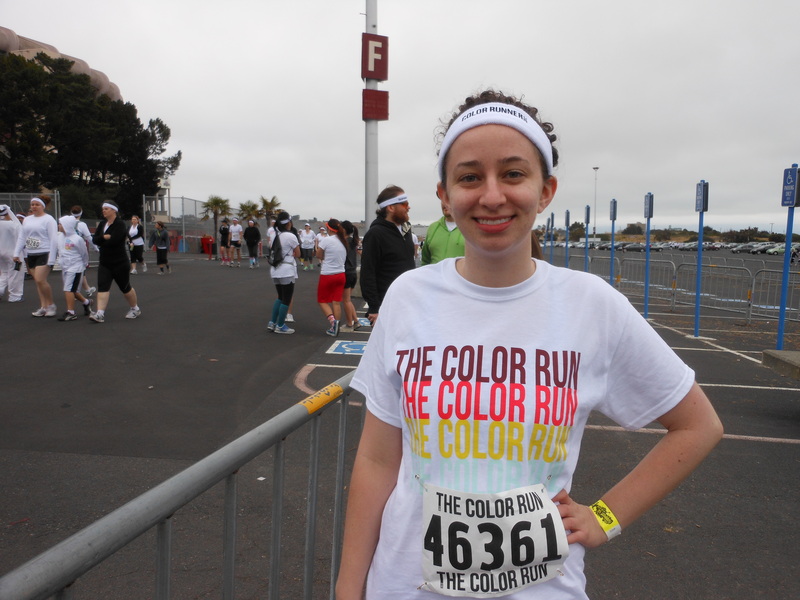 I also set a goal for myself to run a 5K this year and I was so happy that I accomplished it. My time was somewhere around 35-40 minutes. I meant to time myself, but didn’t bother and had too much fun just running the race. The Color Run is a unique 5K: At certain intervals along the race path, volunteers hurl colored cornstarch powder at you. 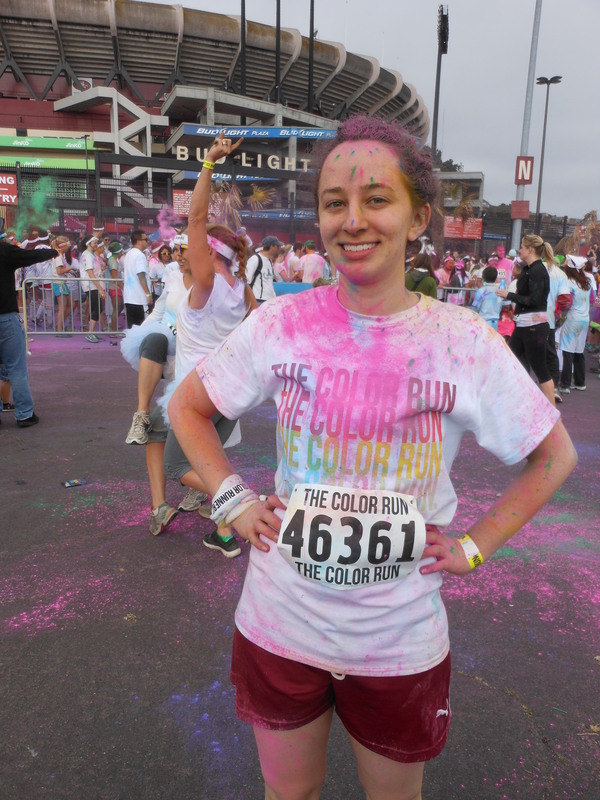 By the end of the race, you’re covered in a rainbow of powder and it’s awesome. This year it was at Candlestick Park in the southeastern part of San Francisco. The weather was cold and foggy, but that made running so much easier. My lovely boyfriend woke up with me at 6am on a Saturday to come cheer me on and was waiting at the finish line. Before: I’m peppy and excited. After: Exhausted, but triumphant from finishing my first race. Have you ever run a race? Tell me about it in the comments.